Understanding you Flour – from The Sourdough School Published by Kyle Books. Photography by Nassima Rothacker. One of the key things we teach our students is to understand flour. 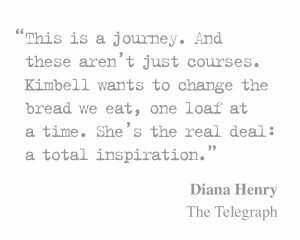 We take time explore the key things that make a difference to your bread, both in terms of crumb structure and nutritional value. I think that not understanding flour is one of the main reasons people don’t get the loaf they want the first or even the second time they bake sourdough is because they have not yet become familiar with their key ingredient – Flour. Familiarity with the flour you are using in your baking is key to whether you get the desired results from your sourdough. Often people think that one flour is much like another, but there are a large number of factors that will affect the way the flour behaves as you mix and ferment your sourdough. 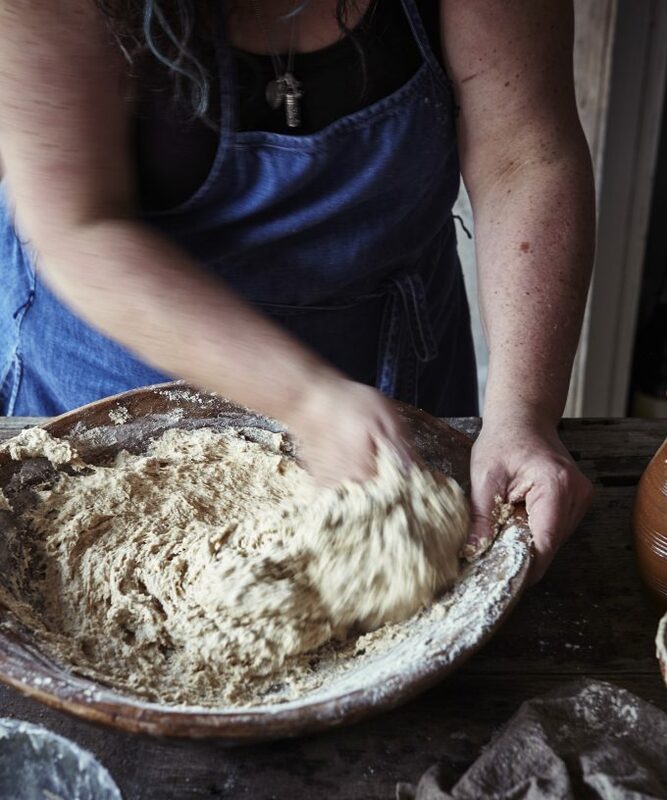 Everything affects the flour; from how the wheat was grown, to the way it was milled, and the age of the flour when you use it needs to be taken into account. Different varieties of wheat are selected by farmers for their properties, both in terms of protein levels and their suitability for cultivation under local climatic conditions. Studies have shown that seasonal variation in weather can affect the properties of a wheat crop. For example, the amount of sunshine at different times through out the season will affect protein quantity and quality. 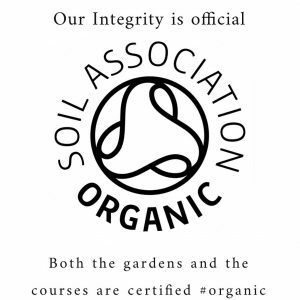 What is more even the soil in the fields where the crop is grown in will also affect grain quality. So even the same variety can vary from one harvest to the next. Milling is an other very important factor in determining the properties of a flour. They way in which the grains has been conditioned will change the way the flour mills. To hard and the wheat will shatter and cause too much starch damage. Too little starch damage and your dough will be sluggish. Whether it was roller or stone milled, how finely the flour has been ground, and levels of bran content, and sifting also means that each flour is slightly different to work with. Then there are amendments made to the flour at the mill. Some mills will blend different flours to get a product with a particular level of protein. The precise blend will change from year to year, depending on what grain is available and the properties of the harvest. 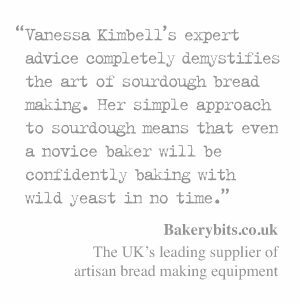 This is often a good thing for the baker, because it helps to maintain consistency. In some countries they can add enzymes, and dough enhancers and malt can also be added to the flour. Each country has their own rules. So what does this mean in terms of your bread making? Firstly, the simplest thing to remember is that flours with a higher protein level will generally take up more water than lower protein flours. If I’m using a flour with 10% gluten, I will probably be looking to achieve about 75% hydration. But a flour with gluten levels of 13.5% can be pushed to 95-100% or more with the hydration. Bran content will also affect water absorption, as well as how the gluten develops and the openness of the crumb in the baked loaf. The speed of fermentation is affected by a number of factors related to the flour. A flour with higher levels of enzyme activity will ferment faster. Like bran content, the amount of starch damage can also affect the structure of the gluten. The most important thing is to become familiar with one flour. Find the ones that suits your style of baking, and the kind of bread you enjoy eating. There is no one right flour for sourdough. Some work better than others for particular types of loaf, but the key thing is to know the flour you are baking with, practice, record your results and practice again. It is familiarity that will get you the results. You can’t short cut experience. 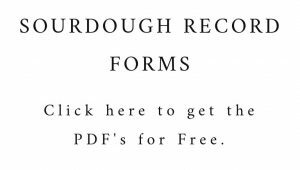 Share the post "Sourdough & Flour"
Yes, nodding my head at your point that you need to understand your flour. I’ve picked a couple of favourite sources, but my frustration is that French flour is not labelled with protein or gluten content; it comes in “types”, from T55 (white all-purpose flour) to T120 (wholemeal). Most French flour is made from soft wheat. So trying new flours or recipes is really hit and miss. For bread I usually use T80 (“bise”) with a bit of wholemeal spelt for flavour. If you know a way of figuring out protein/gluten content for French flour, I’m all ears! The French don’t tend to look at protein, but it is no the side of the bag. It;s more about the ash content which is the T number. Hi Vanessa. I just joined your online course (for 1 year! )and am trying to find my way around your site. I am not sure I am doing things correctly. Are there videos just for members? Also, on the forum I do not see many entries or responses. I am logged in, but not sure I am doing things correctly. In regards to flour. I saw your video on Central Milling. I live in California and I love and use many of their flours. They are wonderful! You asked in your video for six flours they would recommend but i never heard a response to the question. Did you pick your favorite flours? I would love to hear what they are! Thank you Vanessa. 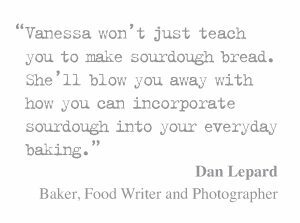 I look forward to learning about sourdough and finding my way around your online course. Suggestions would be welcomed. I love your book and hope to make it out to the UK to take a course in person. Thanks again!